Water damage can cause electrical hazards, lead to deadly mold, and can cause expensive damage to your home’s furnishings and structure. 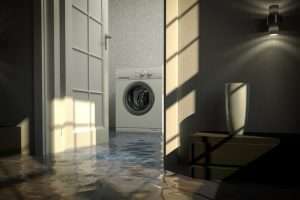 Call the technicians at Southeast Restoration in Augusta to have your home repaired from water damage, using their highly advanced equipment, technology, and knowledge. A homeowner will likely only notice the damage done to the surface, but the professionals at Southeast Restoration are trained to look beyond the surface because water can be hiding behind walls and under carpets. This way the professionals can ensure that they catch all the moisture in every area and that there is no mold growing. Before the technicians start removing anything, a thorough inspection is going to allow the technicians to know just about how much moisture is in your home. After finding out how much moisture is in the area, the technicians will then begin pumping out any standing water. Then, they can begin the drying process. The drying process includes heavy-duty movers and dehumidifiers. If the professionals are called to the home quick enough, they could be able to save a good amount of the flooring and drywall. If it contains at least 25 to 50 percent of moisture, the flooring and drywall may not be salvaged. Also during the drying process, the technicians will test for various microbes and begin to destroy any found using powerful antimicrobials and fungicides detergents. Your home will also be sanitized and cleaned for an environment that is safe for you and your family to be in. Southeast Restoration will require that all your belongings and furniture be packed out during the process of the water damage restoration to eliminate any other potential damage that may happen to your things. They will help try to restore your precious belongings that most definitely cannot be replaced, and will ensure that your home is safe and sanitary before you return to it. There could be many things causing you to experience water damage. Your home could be flooded with a plumbing disaster like a pipe that has burst. A leaky roof could be causing damage to your home because there could be missing shingles, damaged flashing, and ice dams. If your roof has low slopes or has an inadequate runoff, this may also cause it to leak. Cracked bathtubs, a failing toilet, or a leaky faucet can also cause you to experience water damage. You could also have a sewage back-up and this causes the worst damage. Why? Well, because it is contaminated water. Contaminated water can contain things like animal feces and parasites. These things will cause you to have severe health risks, like salmonella and hepatitis. Get a hold of the professionals at Southeast Restoration in Augusta because they are highly qualified and trained experts. They will be able to perform the right techniques for your situation. They will help get your home safe for you and your family to be in again. If you suspect water damage in your home, do not wait for the problem to become bigger. If water damage is not handled immediately, the problem will quickly expand and cost much more money to repair.